Alexandria Ocasio-Cortez is the most radical member of the United States Congress. And this week, she just crossed a major red line. Her latest attack on this veteran who risked his life was an insult to every American that won’t be forgotten. Alexandria Ocasio-Cortez knows the least of perhaps any member of Congress. And yet the left loves her for her own ignorance. That was put on full display this week when Ocasio-Cortez had the gall to attack a veteran who had risked his life in defense of the United States, only to realize that she made a fool of herself in front of the entire country. “New York Congresswoman Alexandria Ocasio-Cortez is facing backlash for telling Rep. Dan Crenshaw, a wounded veteran, to “go do something” about terrorism. Crenshaw is a U.S. Army veteran of Afghanistan and lost an eye in battle,” reports Breitbart. Ocasio-Cortez apparently thought it was appropriate to tell a former Army veteran who had lost an eye in combat battling terrorism that he should “do something” about terrorism. For the rest of America, the words were shocking and insulting, and a sign that Ocasio-Cortez really is as dumb as many Americans thought she was. 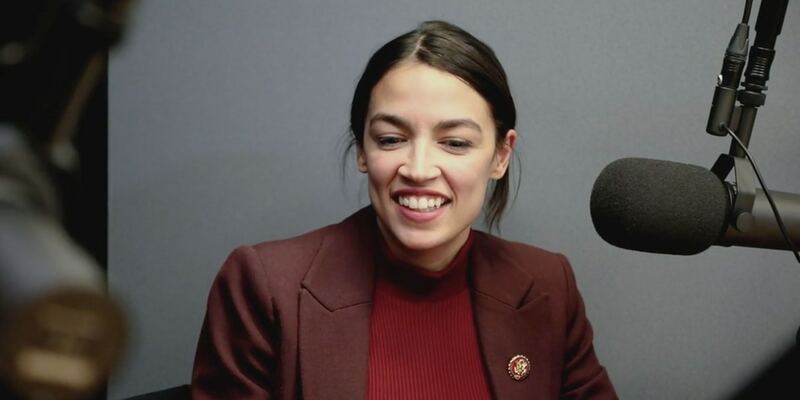 “Ocasio-Cortez stuck her foot in her mouth defending virulent anti-Semite Minnesota Rep. Ilhan Omar who Crenshaw criticized for her outrageous comment about the terror attacks on 9/11. Omar was seen on video breezily noting that on September 11, 2001, “some people did something” and that caused Muslims to become victims of discrimination,” reports Breitbart. It was then that Crenshaw decided to get involved, deeply upset that Omar had flippantly referred to 9/11 as “some people did something”. “Crenshaw was aghast over Omar’s characterization of the brutal terror attacks as merely ‘some people did something.’ The Texas Rep. jumped to his Twitter account on April 9 to slam Omar saying, ‘First Member of Congress to ever describe terrorists who killed thousands of Americans on 9/11 as ‘some people who did something.’ Unbelievable.’,” states Breitbart. It was then that Ocasio-Cortez stuck her foot in her mouth in a major way. Almost immediately, Ocasio-Cortez began to get hammered on social media for the comment, directed at a US service member who had lost an eye in Afghanistan. “’Why don’t you go do something about terrorism?’ AOC asked Dan Crenshaw,’” one person tweeted. Ocasio-Cortez has since gotten over 20,000 replies to the tweet, almost all of which were negative. It takes a special form of stupidity to attack a combat veteran who gave an eye fighting terrorism overseas to “do something” about terrorists. Especially from an ex-bartender who hasn’t done a single thing in her entire life that can remotely compare to Crenshaw’s service.